To create a digital media centre as a community space and enterprise support hub, to promote community voices, cultural expression, community development and social enterprise. Over 100 community shareholders have a say in how the business is run with a one member, one vote system at AGMs. Hundreds of volunteers create over 100 hours of community radio, including programmes for youth, older people, LGBT, people with disability, over twelve languages, and a wide range of music genres. Income is generated through hiring out facilities and equipment to freelancers, co-working space, production fees and sponsorship will be reinvested into more community programming. Started as a festival radio station broadcasting from a caravan in 2000, Sheffield Live! moved to more permanent premises when local people behind it gained funding to open an Information and Communication Technology (ICT) centre in 2002. Five years later they became the first licensed community radio station in Sheffield. 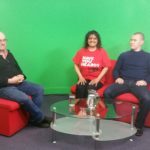 In 2012, the group set up as a Community Benefit Society to apply for a contract to run a community TV channel which they won. And in 2014, they successfully raised £200,000 from community shares and social investment to run it. The idea behind the community share offer was to enable the community to get involved in ownership of the local community media operation. 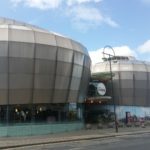 Since then, Sheffield Live! has developed into a thriving media production centre broadcasting over 100 hours of community radio and 20 hours of community TV a week. 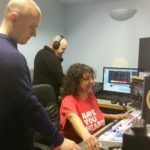 150 local volunteers from diverse backgrounds produce content including programmes for youth, older people, LGBT, people with disability, over twelve languages, and a wide range of music genres. Now a £200,943 grant from Power to Change will enable the centre to provide training and volunteering opportunities to over 500 people, assist the start-up of at least 20 new social enterprises and to create at least 50 new jobs. Sheffield Live! is open to all members of the local community and particularly seeks to engage those facing social and economic exclusion through provision of opportunities for skills development, advice on access to employment and support for social enterprise development and job creation. Their activities will also contribute to local community resilience and social cohesion. We’re a community business. Our ownership reflects that – local people own it, run it. 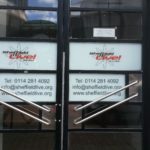 Chief Executive Officer, Sheffield Live!